Xeriscape your lawn with climate-appropriate plants that require little or no watering. Xeriscaping has become popular in arid regions, but it can be done anywhere, and need not involve rocks and cacti! Flowers such as daffodils are drought-tolerant. By choosing drought-resistant plants, native species, and applying mulch or rocks to replace a grassy lawn, a homeowner can reduce the use of fresh, drinkable water by 50-75%. Instead of using sprinklers, water the lawn or garden with drip and soaker hoses to prevent evaporation. 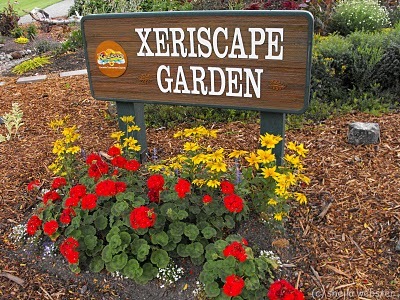 A xeriscaped lawn will not only help the environment, but will also save time and money. Ensure septic tanks or private sewage treatment plants are well maintained and working effectively. Join a river group to spot pollution, invasive non-native species and take part in practical clean up days. Remove invasive non-native species from your garden and dispose of them responsibly. The Environment Agency provides detailed guidance on how to manage non-native species. Outside of the UK, check local government websites or national agencies dedicated to the environment to find out which invasive species to look out for and guidance on how to manage them.